Hurrah! We’ve made some posters for you. 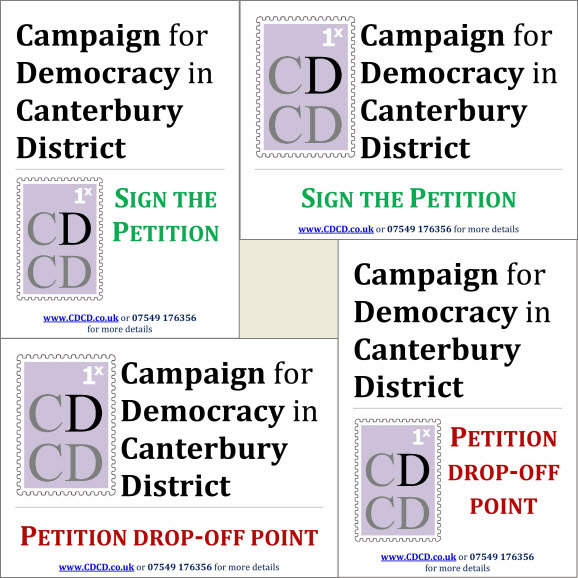 Some are to show your support and encourage people to sign our petition, others are for the lovely people who are running our drop-off points for collecting signed petitions. There are portrait and landscape versions. If you don’t have a colour printer and would like a colour poster, just drop us a line, and we’ll get one to you. If you’ve got your own design for a poster, please send it to us and win a prize of incalculable worth!